Question: I have a product that I think would be great for your customers in the Hysterectomy Store. How can I tell you about it? Who do I contact? First of all, thank you for your question! 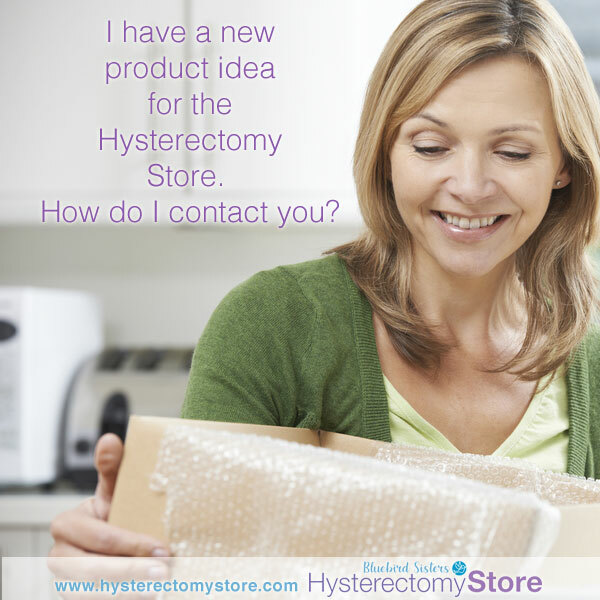 We love to find new products for the Hysterectomy Store and therefore, we always welcome inquiries! Secondly, our store has a specific niche of products relating to women’s health and related surgeries. If your product matches our area of interest, we invite you to use our CONTACT US form to make it easy! 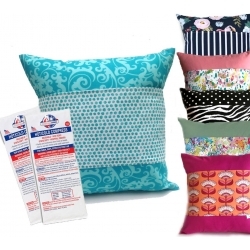 Include your company information, contact details and wholesale pricing. Be sure and include a link to an image of your product or link to your website with the product. Or, you may send us a sample product to the address below. Don’t forget to include wholesale pricing, contact information, and all details. Finally, we will review your product suggestion. If we don’t reply right away, it may be because we regularly receive products to review – and we ask for your patience! Thank you again for asking! We hope to hear from you soon! This entry was posted in Questions to the Hysterectomy Store and tagged feminine, hysterectomy, menopause, new, products, store on November 1, 2018 by Bluebird Sisters.